Riding north from LA along PCH through the recent wild fire areas near Malibu provides a surreal experience. There is a stark contrast between the charred land which was caused the fires and the pristine blue water off the coast. Thousands of people were affected if not devastated by the fires, and repairs are currently underway along the route with partial lane closures and significantly reduced traffic. The icing on the cake for this glorious ride is the striking beauty everywhere you glance. Dolphins, mountains, beaches, quaint towns, countless surfers, and blue water as far as the eye can see were just a few of the sights I encountered along the way riding it last weekend. 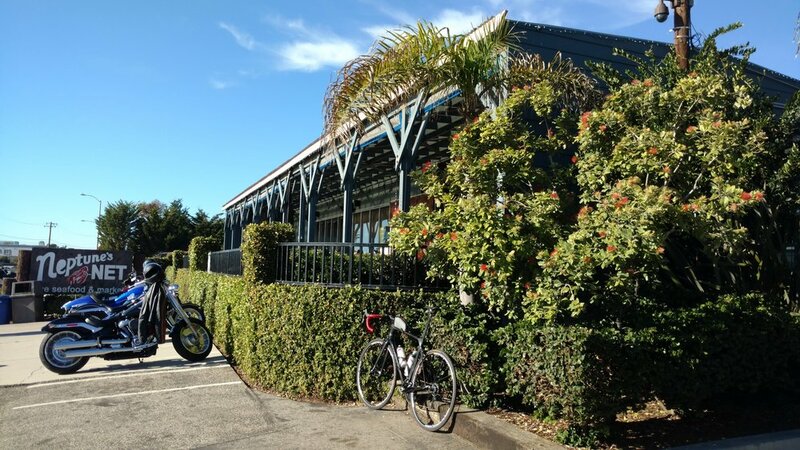 If you haven't yet done a century ride (ride greater than 100 miles), this could be a great way to accomplish that landmark making this route one that I would highly recommend. The last day of the tour had finally arrived. The feeling was surreal. It was around 6 AM and I was wide awake with excitement. Normally, my heart rate would be low and calm after waking, but instead my chest was pounding as if I had just sprinted up a hill in Northern California. Staring at the ceiling for about 15 minutes I didn't want to move. The sooner I moved from the couch, the sooner it would all be done, no longer real, and only a memory. My mission is to inspire others to ride bicycles in order to live a healthier life and contribute to sustaining our beaches and waterways. Cycling from Vancouver, British Columbia, Canada to Tijuana, Baja California, Mexico in 24 days including one rest day. Although far from capturing the true essence of my tour, the video I made does provide a glimpse of some of the beautiful scenery of this stunning coastline..